Gamers and consumers get a power update with AMD's new ThreadRipper release. AMD has just announced its most powerful desktop processors yet with the launch of its 2nd Generation AMD Ryzen Threadripper 2990WX processor. It comes with 32 cores and 64 threads, built using 12nm Zen+ x86 processor architecture. “We created Ryzen Threadripper processors because we saw an opportunity to deliver unheard-of levels of multithreaded computing for the demanding needs of creators, gamers, and PC enthusiasts in the HEDT market,” said Jim Anderson, senior vice president and general manager, Computing and Graphics Business Group, AMD. 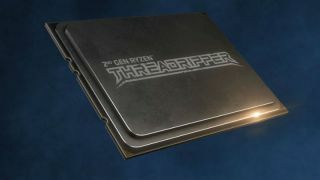 The 32-core, 64-thread AMD Ryzen Threadripper 2990WX is already available, from global retailers and system integrators. The company's announcement does not mention the price, but it can be found on Amazon for £1,639.99.